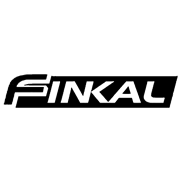 Finkal Punches are manufactured from hardened and tempered top grade carbon alloy steel. This increases strength and durability, and reduces brittleness and tool stress. The starter drift punch is designed to be used to loosen frozen or tight pins, knock out rivets, installing and removing pins and shafts, and align holes in two or more pieces. 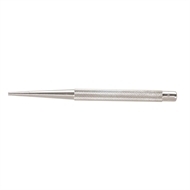 For loosening frozen or tight pins and knocking out rivets. For installing and removing pins and shafts. Also used to align holes in two or more pieces. The striking end of all Punches has been tempered to prevent the head from shattering during striking. All punches have knurled grips for easy and sure handling.